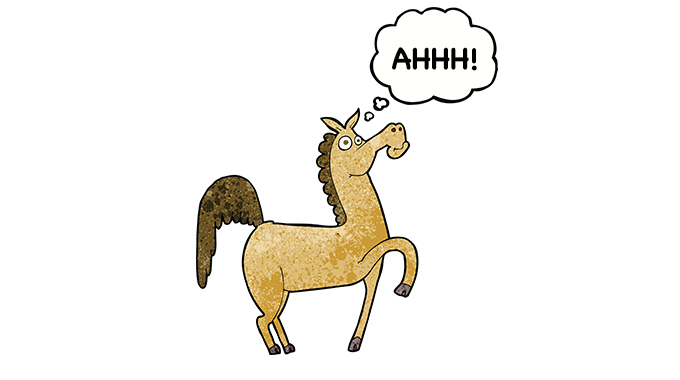 My 5-year-old horse is coming along nicely but will sometimes freeze when other horses come up behind him. Is this common and something I can train him on? Thanks for the question regarding your 5-year-old. No, this is not normal behavior, so first I’d look into his background. Find out if he was raised in a pasture with other horses or was always by himself. Something may have happened to him in his youth or training to cause such a reaction. I always like to try a little detective work, when possible, to get some insight on the problem. However, to overcome this, first you must understand why he is so worried and become his leader. Ask yourself, what is he thinking? Is he ready to kick out or does he just freeze because he is remembering something from his past that worries him? First, never punish him for reacting this way, but instead find a way to positively reinforce that he is fine and you’ll keep him safe. You need to be aware that horses can not see directly behind them and also that they have a great sense of hearing. So stay in tune to your horse so when horses start to approach you are ready. Let him swing his head around or even turn his head so he can more accurately see what’s coming. Scratch his withers and relax yourself by breathing and talking to him. If he halts and won’t move, untrack him by pulling him off balance to one side or the other, so he has to move his feet. Have a friend ride along side you at the walk, then ahead of you, then around you in both directions, all the time talking and reassuring him. Then have them approach from behind, reassuring him everything is OK. But never let him halt, even if it means untracking him. Once he is comfortable with this, repeat the exercise at a trot. By making a big deal of how brave he is will go a long way to make him a happy, confident, and comfortable horse. 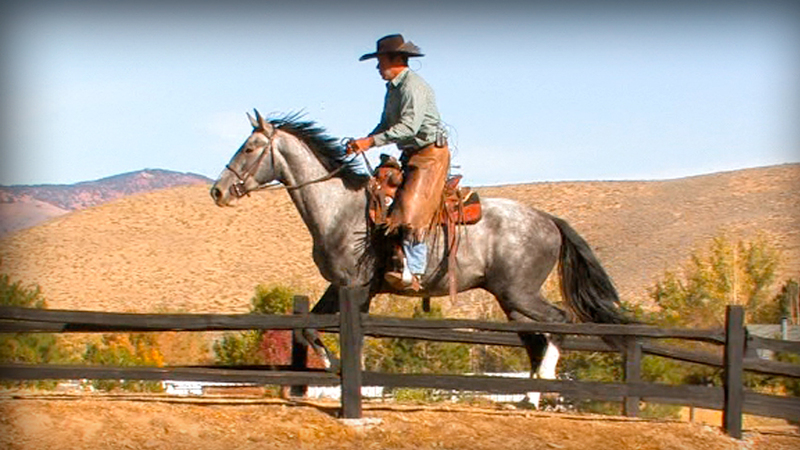 The job – give a young colt his first experience under saddle that instills him with confidence, alleviates his anxiety while fostering in him faith and trust in his rider. Job requirements – intuition, patience, consistency and a calm, self-possessed air, not to mention the ability to stick to the saddle! The man for the job – Jose Alejos. 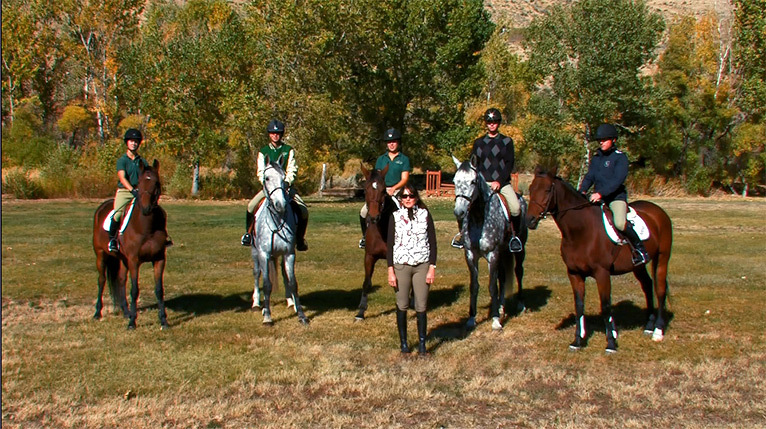 Julie Winkel has been a licensed Hunter, Equitation, Hunter Breeding and Jumper judge since 1984. She has officiated at prestigious events such as Devon, Harrisburg, Washington International, Capital Challenge, The Hampton Classic and Upperville Horse Shows. She has designed the courses and judged the ASPCA Maclay Finals, The USEF Medal Finals and The New England Equitation Finals. 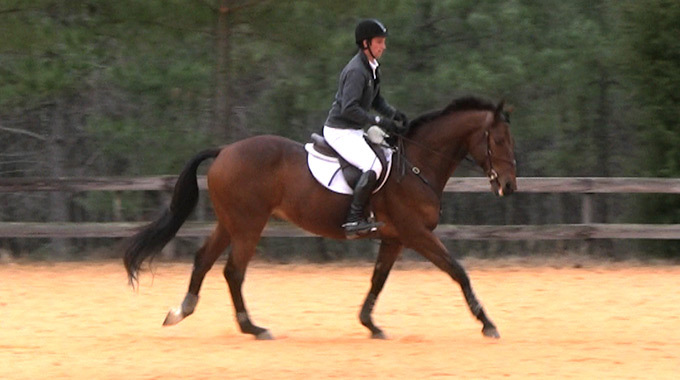 Geoff Teall gives a member advice on how to train her OTTB to pick up his right lead. 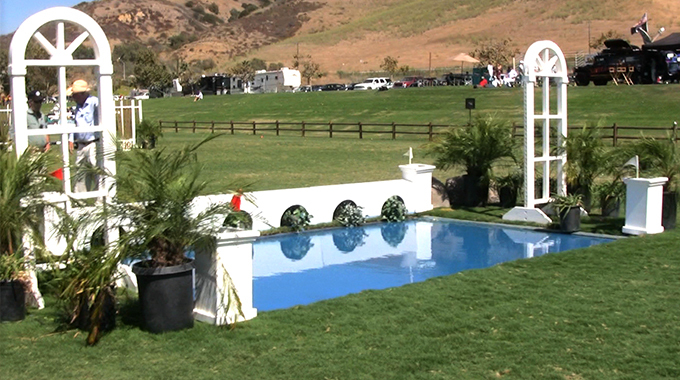 Bernie gives a member advice on how to train her horse over a liverpool and water jump at home in preparation for a horse show. 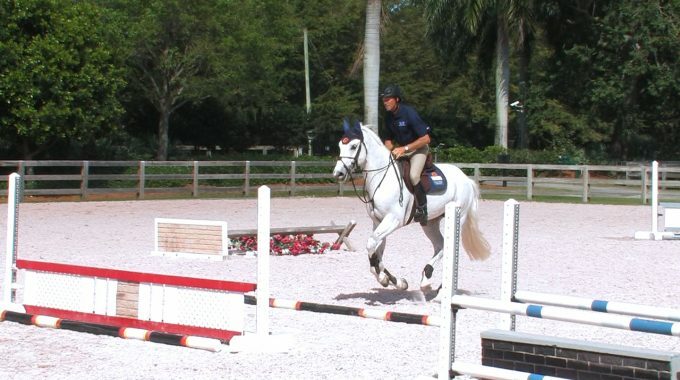 Bernie lends his advice on how much jumping a 5-year old horse should do each week. Thanks for the answer and providing useful tips . As far as the detective work – he is a Nakota and was raised in a herd. He lived in the middle of the pack and I am now asking him to lead the pack. I have been very reassuring and he does well 6-8 strides ahead of the group, but freezes when they catch up. It does not seem like he wants to kick out . It’s more like he would rather someone else lead. As soon as someone else passes – he is back on gear. Any additional thoughts based on this detective work? Thanks for sharing that info with us Dan. We passed it on to Julie and I emailed you her response.